Besides, within the framework of the execution of the repair program-2012 OAO Kubanenergo conducted complex maintenance of 86 substations 35-110 kV, 665 transformer substations 10/0.4 kV. 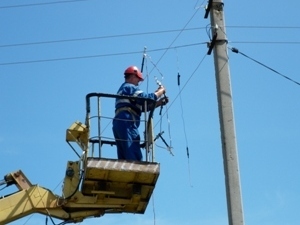 In the course of the repair works in the Krasnodar region and the Republic of Adygei the engineers of OAO Kubanenergo replaced 3 574 outdated, worn-out transmission towers with new ones. Besides, on the high-voltage overhead power transmission lines 17 676 porcelain insulators were replaced with glass and polymeric ones, which have more insulating capacity and mechanical strength.